petition: Tell the Queensland Government: Ban Dolphin Breeding at Sea World. Tell the Queensland Government: Ban Dolphin Breeding at Sea World. 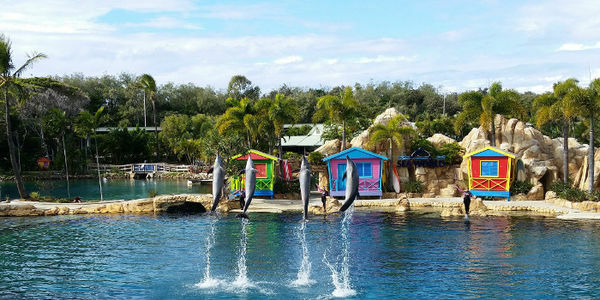 Sea World, on the Gold Coast, is one of the world's largest captive dolphin venues. There are currently 30+ dolphins at the facility; most of them were born and bred there. Even more may be bred in the future to provide entertainment for tourists – unless we act. Dolphins are beautiful, highly intelligent animals and, in the wild, they range over hundreds of square kilometres. In contrast, Sea World's dolphins are confined to small concrete pools. For these dolphins, it means 50 years of boredom and suffering, punctuated only by performing in shows and interacting with tourists. Dolphin captivity is declining worldwide as public awareness increases. Travel companies and airlines are beginning to distance themselves from captive dolphin venues, and many countries are banning these facilities. Our only other captive facility — Dolphin Marine Conservation Park in Coffs Harbour — has announced it will no longer breed dolphins. Together, we can ensure that the current generation of dolphins in captivity at Sea World is also the last. Sign our petition asking the Queensland Government to ban breeding at Sea World and begin work on a sea sanctuary for the dolphins who can't be released into the wild.